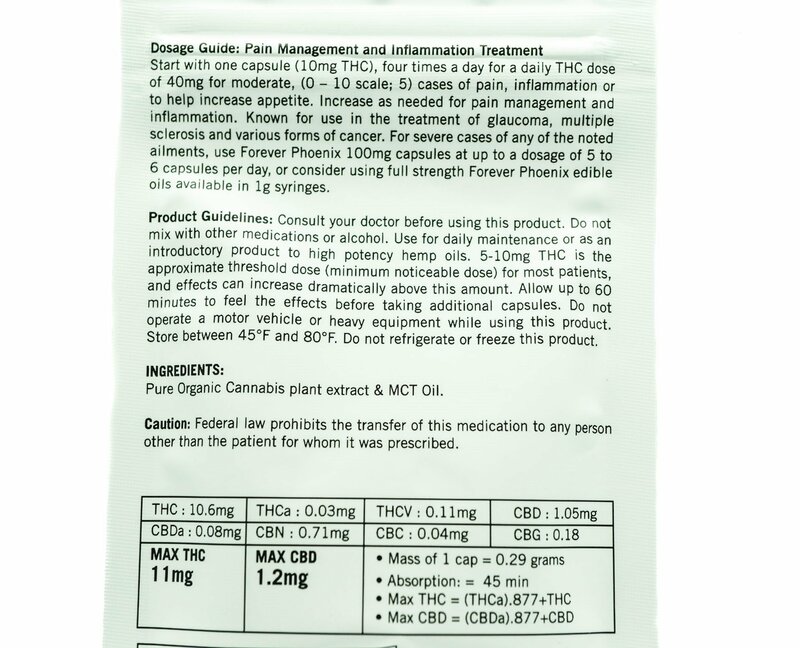 Ingredients: Pure Organic Cannabis plant extract & MCT oil. Start with one capsule (10mg THC), four times a day for a daily THC dose of 40mg for moderate, (0-10 scale; 5) cases of pain, inflammation or to help increase appetite. Increase as needed for pain management and inflammation. Know for use in the treatment of glaucoma, multiple sclerosis and various forms of cancer. 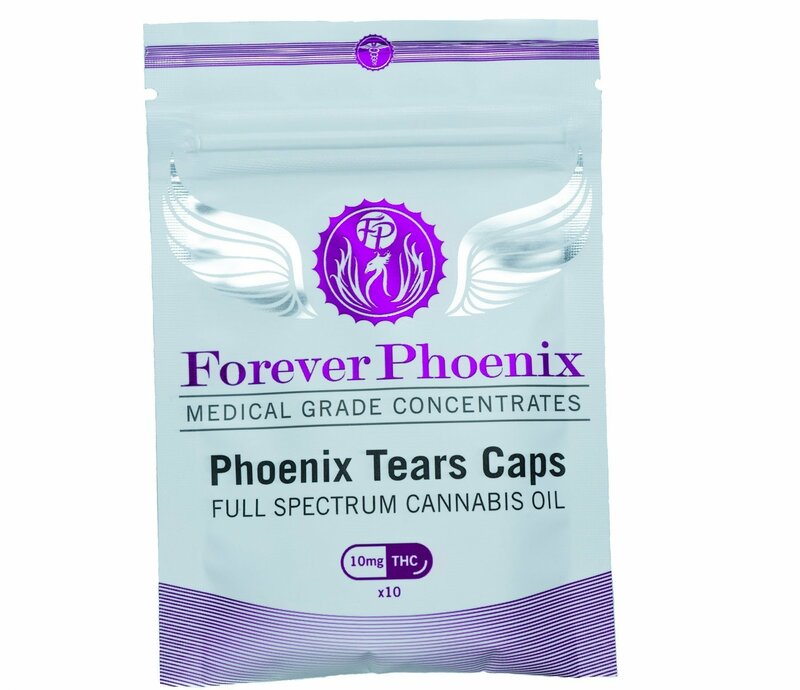 Our phoenix tears are cultivated and selected from only the finest genetics – those usually being high in CBD. We use 99% organic authentic ethanol alcohol to excerpt and winterize the tears, spawning a powerful and purer medicinal-level oil. This product is multi-beneficial, multipurpose and 100% vital to your health and well being. Our product is decarboxylated for easy oral absorption and requires no flame or heating. We recommend this recipe to promote overall body healing and a various range of conditions. allow up to 60 minutes to feel the effects before taking additional capsules. Do not operate a motor vehicle or Heavy equipment while using this product. Store between 45°F and 80°F. Do not refrigerate or freeze this product.